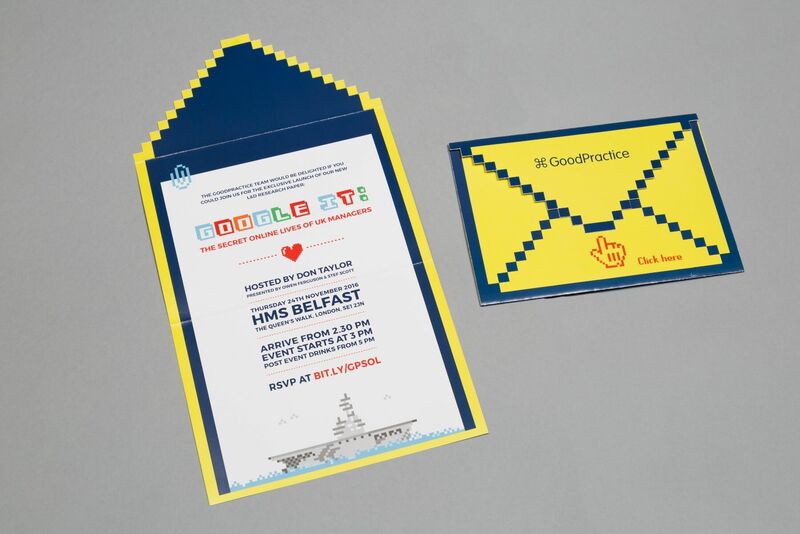 "Blake did an excellent job creating a completely bespoke event invitation for GoodPractice. We wanted the invite and envelope to be different, so went for a 2 in 1 fold out design which wasn't straightforward to produce. The team at Blake worked closely with us to understand our requirements and come up with a print solution that exceeded our expectations. The final product looked excellent, and helped us generate excitement and buzz in the run up to our event. I would highly recommend the team at Blake, and in particular our account manager Dario."